Join us for this theatrical, immersive experience of sacred sound vibrations, meditation, storytelling, ceremony and performance artistry that will take you on a spiritual oddessey of beauty, truth and love. Let Bindi and Amanda bring you to the altar of your soul and set your spirit free with the ancient healing modalities of sacred sound and vibrations passed down from age old lineages of Tibetan Monks and Nepalese Jahnkri Shamans, interwoven with the revered arts of dreamweaving and storytelling in this powerful, meditation performance. Bindi, Sacred Sound Artist of Musique Du Soleil, incorporates over 35 Tibetan Sacred Sound instruments into her performances along with the Dhyangrao which holds the heart beat of the universe, teaching us to embrace the spiritual life force that is to be found within all the natural phenomena of the world around. Her performances create the rhythms, vibrations and harmonic overtones to cleanse, heal and awaken on a physical, emotional and spiritual level stimulating both mind and body and bringing back balance. Amanda, The DreamWeaver draws from her Basket of Stories, to bring forth legends and history, maps and poems, teachings of spirit mentors, instructions for ceremony and ritual, observations of worlds, and storehouses of ethno-ecological knowledge. 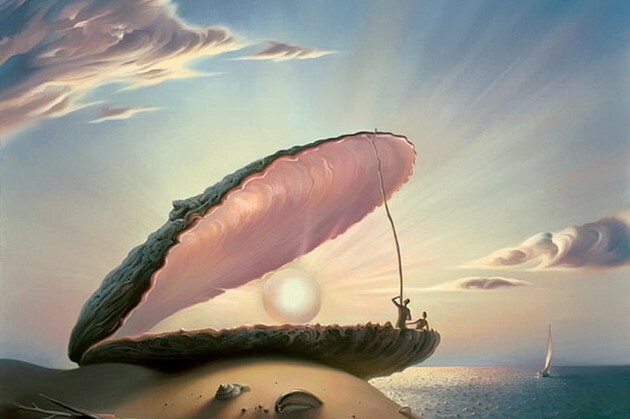 Stories often live in many dimensions, with meanings that reach from the everyday to the divine. Stories imbue places with the power to teach, heal and reflect. Above all, each one of her stories is a part of a greater whole, a continuum that has neither a beginning nor an end. Each story in its own way fills in a section of the larger narrative, giving us a fuller sense of life. 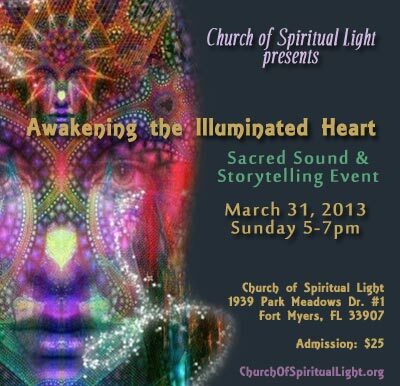 Come for an unforgettable event, designed to soothe, inspire, heal and awaken the illuminated heart. Anticipate, Healing, Awaking and Miracles. What does it mean to be truly abundant? Are we all looking for the pot at the end of the rainbow? And well, what's in that pot? And for that matter, where is this rainbow? Is it truly money we want and need or are other forms of abundance important too? If money were no object what would you do? How would you choose to be in the world? These are all questions that can actually give us a greater understanding not only about our abundance, but about ourselves. This brings us full circle to one of our opening questions that can help us determine and discern what is in our hearts. The door where there was once only a window may not become visible until we at least have a preliminary answer to these questions. For the answer is what causes the door to appear. Ultimately, even after we have seen the door, we must continue to exercise our own free will and power of choice to walk through it and engage in our life with intent. If money were no object what would you do? How would you choose to be in the world? To answer these questions, to even get started on an answer has the power to bring us into abundance being.